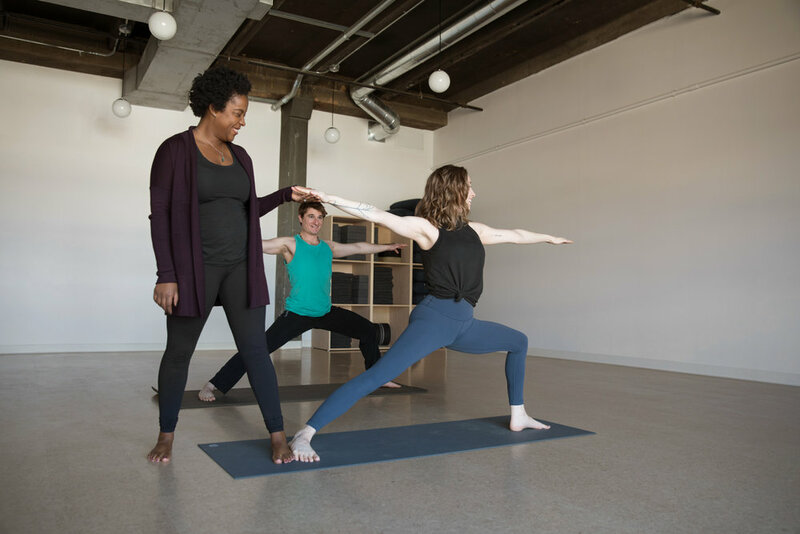 be well is a Pilates + yoga studio in the Grant Park neighborhood of Atlanta, GA. Our goal is to create an open environment where any body at any age can create a strong, integrated foundation for their wellness. These modalities are forms of conscious exercise that can strength your deepest core, maintain better posture, improve flexibility, balance and athletic performance. A view of ourselves + others from a place of non-judgement. From here, we see, evaluate, learn. The more we facilitate alignment + spaciousness in our minds + bodies, the more we can live from a place of intention, openness. Practice holds us in the present. Practice removes us from the metrics of competition + performance. Practice values learnings + showing up. There is no failure in practice. Every body is valuable. Bodies are the containers of our experience, our gifts, our magic. When we take care of ourselves we are more able to take care of others. Thriving looks different for different people. Be excited, surprised by your own capacity.